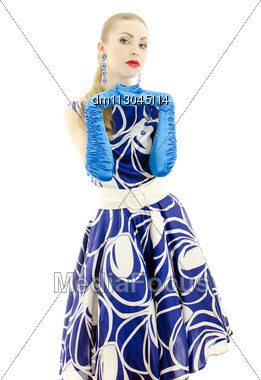 Royalty-Free Stock Photo: Woman In Retro Style Posing. Isolated Over White Background. Find similar images with "woman retro style posing"